Office Space - Chinnor, Oxfordshire. 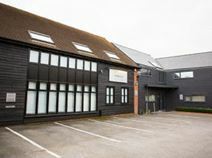 Conveniently located close to the railway station and the motorway, this modern business centre offers stylish offices and meeting rooms, which will definitely benefit from this attractive location. They are provided with car parking, lounge area, reception and a full range of other facilities and services to offer you professional environment.